We will still be accepting registrations beyond the October 9th deadline while space allows. Register today! Click here to read more (PDF)! 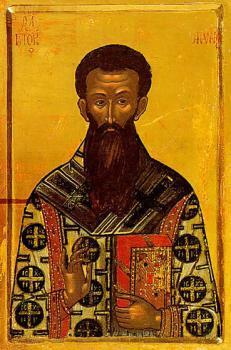 December 6th is the celebration of St. Nicholas the Wonderworker and the name day of His Grace Bishop NICHOLAS. May God grant him many years! 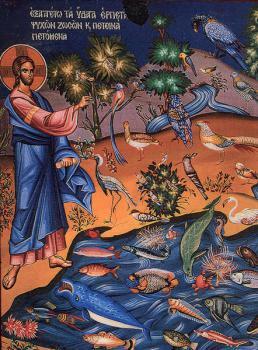 September 26th is the celebration of the Holy Apostle and Evangelist St. John the Theologian and the name day of His Grace Bishop John. May God grant him many years! 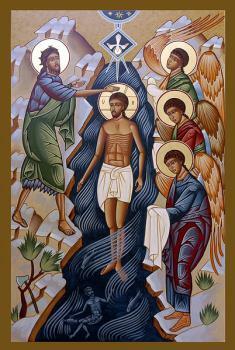 O Apostle John, speaker of divinity, the beloved of Christ God, hasten and deliver thy people powerless in argument; for He on Whose bosom thou didst lean accepteth thee as an intercessor. Beseech Him, therefore, to disperse the cloud of the stubborn nations, asking for us safety and the Great Mercy. O Almighty Master, O Holy King, thou disciplinest yet dost not put to death, thou upholdest all who are falling, and raisest up all who are bowed down,30 thou relievest the physical suffering of mankind. We implore thee, O our God, to send thy mercy upon this Oil and upon all those anointed with it in thy name. Let it be effectual for the healing of their souls and bodies and for cleansing and for relieving from every suffering, disease, sickness, and defilement, of both body and spirit. Yea, Lord, send down from heaven thine healing power. Touch the bodies, alleviate the fever, relieve the suffering, and expel every hidden sickness. Be the physician of thy servants; raise them up from the bed of their sickness and cruel suffering; and restore them to thy Church in safety and health to please thee and to do thy will. For it is thine to show mercy and save us, O our God, and unto thee we give glory, to the Father and to the Son and to the Holy Spirit, now and ever and unto ages of ages. AVAILABLE NOW at: patristicnectar.org - $100 for Director and Student Manuals (Two Vol. Set). 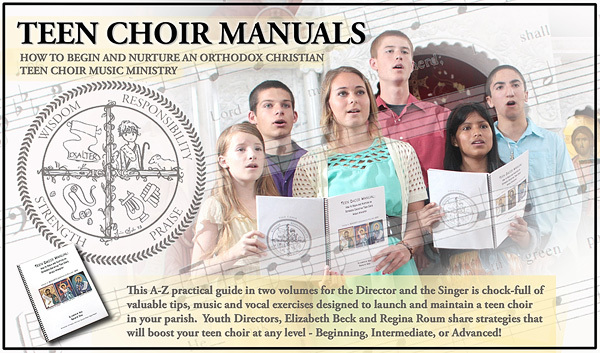 Purchase includes Rights to make one copy of Director Manual, and unlimited copies of Student Manual. Proceeds benefit the Sacred Music Institute Youth Music Ministry (YMM) Program Scholarships. 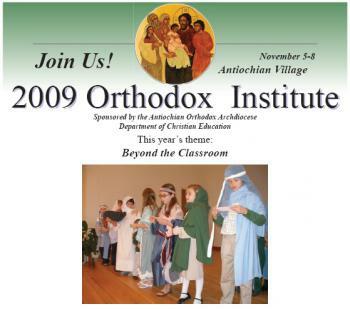 For many years now, Regina Roum and Elizabeth Beck have been teaching our young teens the musical traditions of the Orthodox Church, and inspiring them to have a love for singing these hymns in the church during our liturgical and divine services. They have taught them how to sing in unison using our beautiful Byzantine chant melodies, and they have shared with them how to sing in harmony using our choral arrangements as well. When the Savior condescended for the sake of mankind, He was willing to be wrapped in swaddling clothes, and He Who was eight days old on the side of His Mother, and eternal on the side of His Father did not disdain the circumcision of the flesh. Wherefore, let us cry to Him, O believers, Thou art our God; have mercy upon us. 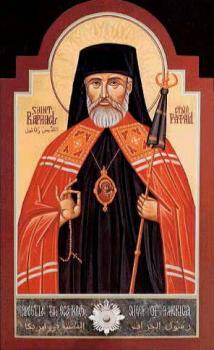 Many years to His Grace Bishop Basil of the Diocese of Wichita and Mid-America on his Namesday! 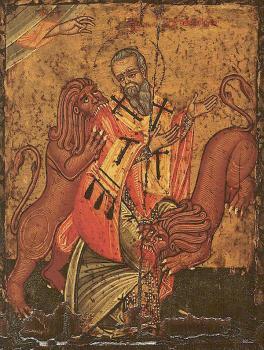 Like a living monument and an animate image, thy yearly feast is come, O God-bearing Ignatius, proclaiming thy mystic teachings and thy heroic exploits, thy resistance for the Faith even unto blood, and those blessed and celebrated words of thine, which said: I am the wheat of God, and in the teeth of beasts shall I be ground up. 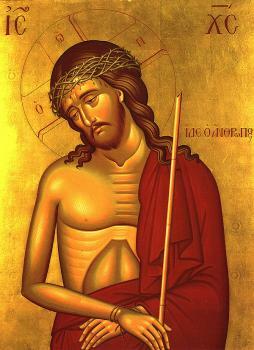 Wherefore, as an imitator of the Passion of Christ, intercede that our souls be saved. 2018 Winter Camp Registrations are Happening Now! WAMP 2018! Online registration for DOWAMA SOYO Winter Camp (a.k.a. 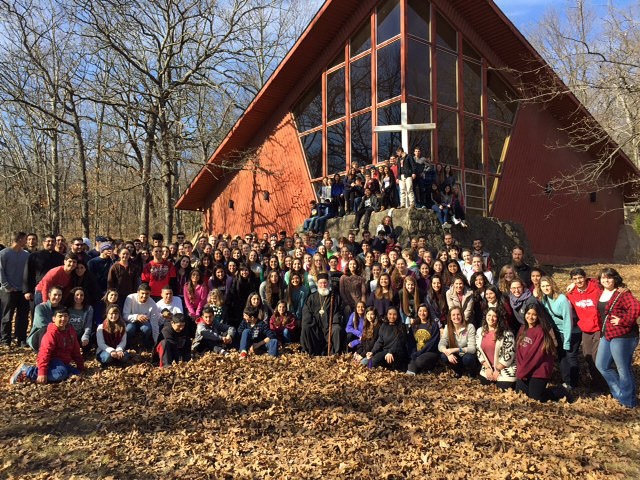 WAMP) at Camp Saint Raphael, January 12–15, 2018, is open at www.wamp2018.eventbee.com. Questions? Contact DOWAMA Youth Director Erin Ghata at: erin.ghata@gmail.com. Anna besought the Lord in fervent prayer for a child. The voice of the angel proclaimed to her: God has granted you the desire of your prayer. Do not weep, for you shall be a fruitful vine, bearing the wondrous branch of the Virgin who will bring forth in the flesh the blossom Christ, Who grants great mercy to the world. Today the great mystery of all eternity, whose depths angels and men cannot perceive, appears in the barren womb of Anna. Mary, the Maiden of God, is prepared to be the dwelling place of the eternal King Who will renew human nature. 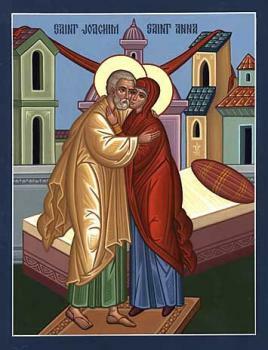 Let us entreat her with a pure heart and say: Intercede for us with your Son and God that our souls may be saved. 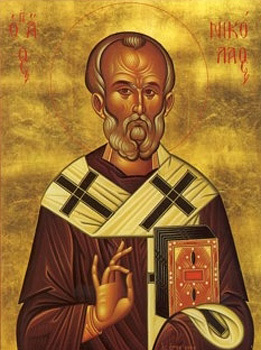 On December 6, we celebrate St. Nicholas the Wonderworker, the fourth-century archbishop of Myra in Lycia (on the southern coast of modern-day Turkey). None of his writings is extant, but his examples of Christian generosity, virtue and love endure to this day. St. Nicholas is the living embodiment of the words "faith without works is dead" (James 2:20). 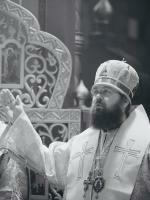 He is also the patron and protector of two cathedrals – Brooklyn and Los Angeles – in our Archdiocese. 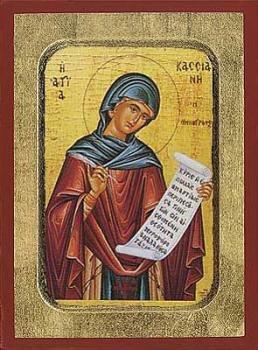 Sanctified from youth, O righteous Saba, thou wast a summit of righteousness equal to the Angels. Thou didst lead a heavenly life, and guide thy flock to godliness by word and deed. And they cry to thee with faith: Glory to Him who hath strengthened thee; glory to Him who hath crowned thee; glory to Him who through thee worketh healings for all. 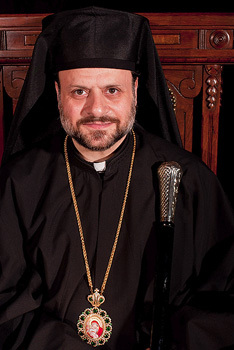 Many years to Metropolitan SABA of our Sister Diocese of Bosra Hauran in southern Syria, who keeps this as his Name's Day! 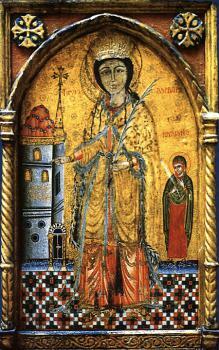 Let us honor the holy martyr Barbara, for as a bird she escaped the snares of the enemy, and destroyed them through the help and defense of the Cross. 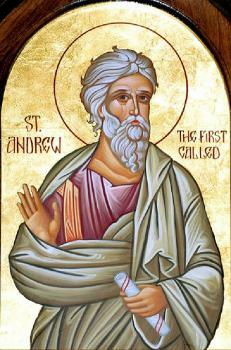 Let us acclaim Andrew, the preacher of the Faith and servant of the Word. For he fisheth men out of the deep, holding in his hands the Rood instead of a rod; letting down its power like a fishing line, he draweth up souls from the error of the enemy, and offereth them as a wellpleasing gift unto God. O ye faithful let us ever extol him with the choir of Christ’s disciples, that he might intercede with Him to be gracious unto us in the Day of Judgment. Let us praise the divine leader and namesake of courage, first-called disciple and Peter's kinsman. For as of old Christ called to him so he now calls to us: Come, we have found the Desired One. 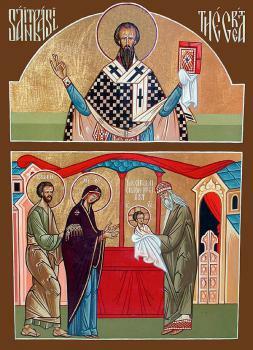 On November 30 in the Holy Orthodox Church we commemorate the holy, glorious, and all-laudable Apostle Andrew the First-Called. 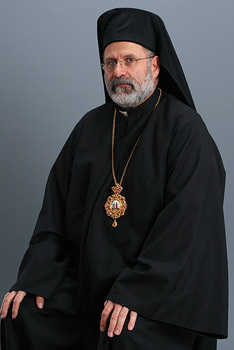 His Eminence Metropolitan JOSEPH asks that parishes try to offer divine services in thanksgiving to God for all of His abundant blessings, both on Wednesday November 21, 2018 for Great Vespers or the Akathist of Thanksgiving in the evening, as well as on Thursday, Thanksgiving Day in the morning, to celebrate the Divine Liturgy. 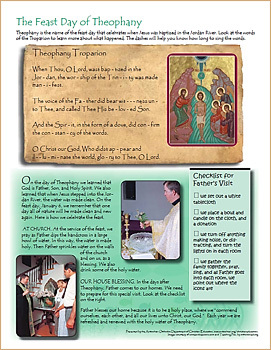 Texts from the Department of Liturgics in the Online Liturgical Guide are available. Verily, God, O Demetrius, who granted thee invincible power hath touched the Church with the live coal of thy blood streams, preserving the city unbreached; for it is established by thee. 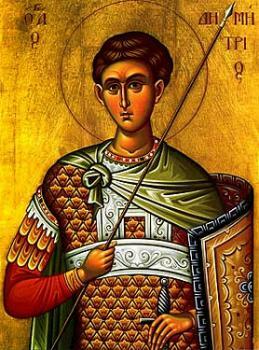 Read about the life of St. Demetrios.